We clean the $#%@ out of your carpets! For years when Baltimore residents and business owners want their carpet and upholstery cleaned quickly, efficiently, and at a reasonable price, they’ve called us at Maryland Carpets. When you’re searching for carpet cleaners in Ellicott City, Baltimore, or Columbia, we’re honored to be your preferred choice! Picking a carpet cleaner can be stressful for many as you’re entrusting a stranger to enter your home and/or business and ultimately, you just want the problem to go away. We understand this and will never take your trust for granted. Our goal is your satisfaction. We know we aren’t just cleaning your flooring, carpets, or furniture. This is not only where you live but where you celebrate birthdays and milestones with your family and friends. If this is a business, this is not only where you work but where you earn a livelihood for your family, safety for your employees, and greet your clients. Our highly trained and professional staff don’t take that trust lightly. We understand how important your flooring is to your home or business. Maryland Carpets strives to keep your facility in a safe and clean condition so you can focus on relaxing in your home or in your business. We never want you to leave us without getting what you came in for. With years in the industry, we possess the knowledge and connections to handle the toughest questions and special requests. Commercial Estimate? Tell us some details! Have you had another company tell you your request was too small, too big, or just impossible to fulfill? The truth is they could have cleaned your floor or furniture. They just didn’t want to. At Maryland Carpets we make sure our Baltimore customers are taken care of. No job is off limits. After all customer satisfaction is more than a tagline to get you in our doors: it’s our main priority. So, how do we handle jobs other carpet cleaners won’t touch? By focusing on environmentally friendly and state-of-the-art cleaning technologies. Maryland Carpets knowledgeable, trained, and highly experienced staff dedicates ourselves to researching new and scientifically-tested products to keep your carpet free from dust, dirt, and allergens. Regardless if you have carpet in every room and space in your residential or commercial property or if you just have one item needing attention, we have the know-how to get the job done quickly. Call us today to get a free consultation so we can relax your mind and get your home or business’ flooring clean today! We don’t just clean carpets: we are also expert rug cleaners, mattress cleaners, area rug cleaners, and oriental rug cleaners. First we will assess your project for free. If our competitors haven’t stepped foot in your facility then you know they don’t have your best interest at heart. We get inside so we can see first-hand what unique problems you are having with cleaning your carpet or furniture, regardless of the color or texture, so we can pick the best technology and approach to fix it for you. Cleaning carpeting, tile flooring, grout, and furniture doesn’t have to be done with toxic chemicals. By utilizing eco-friendly products we keep your home and business, as well as children, pets, and customers, safe. We don’t employ untrained employees. When you hire us for your South Baltimore cleaning needs, you will be getting talented, experienced technicians working inside your home and business. Whether your flooring is tile or carpet, we have cleaning techniques to get in back to its original condition. We will match the right product and technique to your individual needs. Assurance and integrity drive our focused cleaning team. We will never start on a project without telling you how we are approaching it. 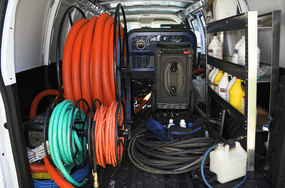 We will walk you through our plan for your upholstery cleaning, floor cleaning, grout cleaning, tile cleaning, or pool cleaning project before starting. We will answer any questions you may and explain why we are using certain products and techniques. We are committed to offering the best cleaning and price savings with first-rate customer service that is unmatched by any of our competitors. Our Maryland Carpets staff is hands-on. We will continue to communicate with you throughout the cleaning process. ​Carpeting and rugs add warmth and richness. From Berber to textured construction carpeting, we use the top eco-friendly carpet products to get the job done. Our comprehensive and eco-friendly cleaning process kills carpet bacteria quickly and efficiently. This in turns gives you a fresh, clean, and vibrant carpet flooring without harsh chemicals. We can permanently remove spots and stains from your carpet or area rugs so you don’t have to keep calling carpet cleaners. Our cleaning methods for your carpets, floors, and rugs result in a much lower maintenance than you may have had in the past. For you, this means you keep your flooring looking great at half the cost! Want some professional tips? Here’s 10 carpet cleaning secrets from Popular Mechanics! Think you have to spend an arm and leg for quality carpet cleaning in Ellicott City? Here at Maryland Carpets we give offer quality cleaning services and packages no matter what your budget may be. Carpets are one of the most visual elements in your home or business but they are almost the most utilized. Our skilled specialists are ready to help you get your carpet back to pristine condition at the right price for your budget. Regardless if you own a big business or a small apartment, we guarantee your floors will bring elegance to your living space. When you decide to get your carpet, tile, grout, or furniture cleaned the right way, ask Maryland Carpets. When our Maryland Carpets Cleaning crew comes to your home, we will remove all the screens from the inside of your home while wearing shoe covers to protect the floors of your residence. Using eco-friendly cleaners, we will clean the glass, the sills, and the frames completely and thoroughly, as well as the sills and frames. We take great care in protecting your furniture and other items in your home while ensuring your windows are spotless. We have special discounts if you would like your windows cleaned on a regular basis. Are you fed up dealing with vendors who can’t fit you into their schedules or call you back? Then stop calling them and start using Maryland Carpets. 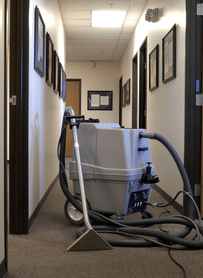 We are the premier specialists in Ellicott City, Columbia, and Baltimore, MD for commercial carpet cleaning, tile & grout cleaning, and mold & mildew removal for a reason. Whatever type of carpet or flooring you have in your workspace, we can get it cleaned for you quicker than our competitors or other vendors. As a business built on customer service and satisfaction, we know how vital our customers and their businesses image are. A clean image means everything to potential customers so we want to help you maintain that image. At the same time we also understand how difficult it can be to rely on vendors while running your business. That is why we are the top choice for business owners for carpet services within the Baltimore area. If you are looking to get the rugs in your lobby cleaned then call us today. We look forward to being of service to you so please call us today so we can help your lobby look beautiful. Call us today for all of your carpet cleaning needs.